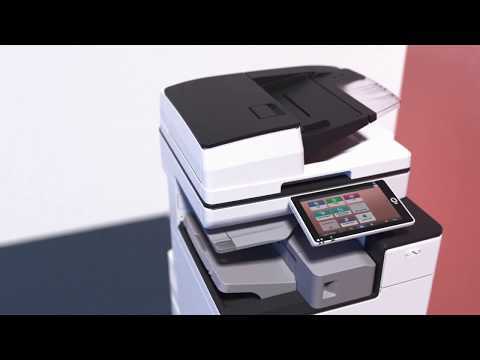 Futureproof your workplace with RICOH Intelligent Devices. Forget the days of buying a new device every time you want access to updated technology. With Ricoh’s new intelligent devices equipped with Always Current Technology, you will be able to access the latest technology as it’s available through updates made directly to the device – so its capabilities grow as your business does. Ricoh understands that as your business grows, so does your need for the right technology to support that growth. That’s why we’ve changed the way we make our digital and print technology available to you – so you can take advantage of what you need as soon as you need it. Ricoh's Always Current Technology allows new features, applications and upgrades to be downloaded and installed directly to your device on request. Select from our range of applications and software solutions to tailor your device to deliver the workflow solutions that meet your business needs, as they arise. No need to call a technician or wait until end of a contract. Plus, you can rest assured that your devices will always be protected with the latest security features. Easy. Scalable. Customisable. Invest with confidence in Ricoh technology, knowing that it won't become obsolete before its end of life. Future-proof your workplace with intelligent technology that grows with your business. connecting your Ricoh multifunction printer (MFP) to popular third party cloud services.